1- After a tiring night, we have slept and then woke up feeling pains in our back and our joints, thinking that today is our 68th birthday. We have switched on our PC to begin our work, as our day usually begins with checking our email. Suddenly, we have found in our email today the best and most unique birthday gift we have ever received in our life. This gift was sent via email from our dearest son, Mr. Ahmed Fathy, may God reward and bless him. 3- We take pride in having such a Godson like Mr. Ahmed Fathy, who never spared anything to help us nobly with all his efforts. Such level of relentless and continuous support, dedication, and devotion of him we have not received from our six biological sons in their help to us for the sake of Quranism. This shows that the bond of Quranist peaceful intellectual jihad for the sake of Islam is a stronger bond among Quranists when one is serving God voluntarily, seeking no worldly rewards. Some biological sons or daughters might turn out to be enemies to their parents, but in our case, we really take more pride in this Godson who has chosen on his own free will to make us his Godfather and help us voluntarily, and without expecting any financial rewards, for the sake of a noble and great cause: to clear the name of the great religion of Islam of the crimes committed by its Wahabi enemies who manipulate the name of God's religion. 4- In addition, this devoted and dutiful son makes us take pride in ourselves and in our intellectual endeavors, as our writings have made a cultured, free-minded Quranist youth like him choose us as his Godfather and to help us without expecting remuneration, while he is happy for translating our writings as his undertaken life mission. 5- Indeed, Mr. Ahmed Fathy is our real gift granted to us from Almighty God. since we cannot offer him any rewards in return, we are sure God will reward him in this world and the next for his services to the great religion of Islam. 6- We copy below his entire letter to us, and we implore the Lord from the bottom of our heart to reward Mr. Ahmed Fathy because of his good deeds to us, Dr. A. S. Mansour, as we cannot give him anything in return except invocation of God to bless and reward him. Since my dream of seeing you one day in Cairo will never come true, and since I cannot visit you at your home (I'm too poor, and I have no passport in the first place as you know) to see you and celebrate your birthday and bring you gifts (hoping instead to meet with you in the Afterlife, with God's permission, when the Lord have mercy on us and allow us into His Paradise), I've decided to bring you a gift that I can actually give, with love, hoping my humble gift will please your heart. I'm sure no gift in the world would be equal to your greatness as a Muslim thinker. This gift is dedicating my lifetime to translate into English your complete works, so that the whole world and non-Arabs would read it. My sentiments of love toward a dear father and a great thinker like you are never mere empty words, as such sentiments must be ''translated'' practically into action. This is why apart from translating books and articles you request from me, I've translated three more priceless books of your intellectual gems without telling you, within the past three months, to offer them as a birthday gift for you. I wish you on your 68th birthday an excellent health and a long life and that all Quranists around the globe would celebrate your birthday for many years to come, until all of us are separated momentarily by Death, then we meet again in God's Paradise, when God have mercy upon us and accept our deeds and faith. Of course, you are the best gift I've ever received in my entire life; you've taught me real Islam for which I've been looking. You are the answer of my prayers offered to the Lord while weeping, when I asked Him to guide me to real Islam. My translation to your writings is very rewarding to me in terms of faith and my intellectual development, and I consider it wholesome to my soul. You make me understand the Quran and my faith increases as a result. I feel that my Quranist translation is a way to make me resist the ugliness, evil, and corruption spreading in our world today. Please do not trouble yourself about feeling anxious, as you've told me before, for not giving me any remuneration. I never expected any, I assure you. The only reward I seek is from Allah in the Afterlife. As for this world, it is enough reward for me that I feel that I've made you happy and that sometimes I make your day. Your presence in my life is a reward in itself, because your great unprecedented writings and unique intellectual endeavors have changed my life to the better. So please do not worry any more about rewarding me for my translation. Are you happy now, Father? Indeed, my love and admiration of a great thinker like you cannot be described with words. I feel glad that my translation helps to make people know real Islam. 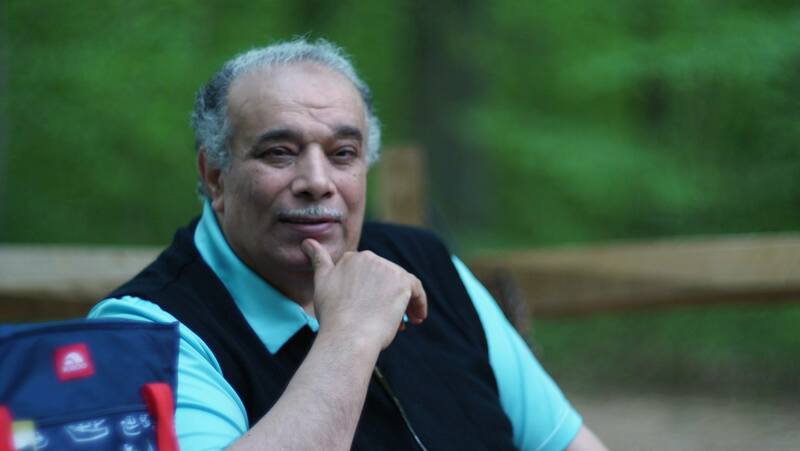 At the same time, I feel happier more than I could say when I help a great man and a unique Muslim thinker like you, the most important Egyptian thinker ever. I feel glad that I'm repaying you with my translation for your greatest gift ever: guiding me to real Islam: Quranism. By the way, dear Father, I'm gonna finish the translation of the book you assigned me "The Judicial Authority between Islam and the Muhammadans" and send it to you on 31st of March. Of course, I will continue to send translated articles and fatwas. Please do not hesitate to tell me about any article in your archive that urgently needs to be edited or translated. Be sure, Father, that I will never let you down; I will translate the entire archive of your writings, and I know this will take many years. I was not joking or expressing wishful thinking when I have promised you to do it, while making God Witness to my promise to you. Please accept this gift, attached to this email message, with our sincere affection and due respect to you. We implore God the Almighty to grant us this wish in the remaining days of our life to meet with our beloved fellow Quranists, especially our dearest son Mr. Ahmed Fathy.